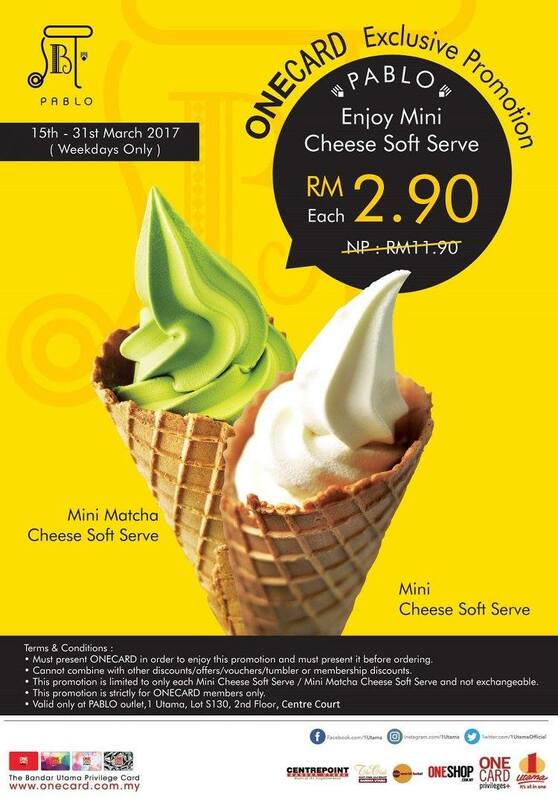 ONECARD Exclusive: Enjoy Mini Cheese Soft Serve for only RM2.90 each. Cannot combine with other discounts / offers / vouchers / tumbler or membership discounts. This promotion is limited to only each Mini Cheese Soft Serve / Mini Matcha Cheese Soft Serve and not exchangeable. This promotion is strictly for ONECARD members only. Valid only at PABLO outlet, 1 Utama (Centre Court).